Myths are stories. They are stories that never happened, but that are, in some sense, always happening. They are symbolically true, but not literally true. There is no single sacred text for Neo-Pagans and no text is considered absolutely authoritative. Neo-Pagans draw from many sources, both ancient and modern, to construct their myths. These texts are illustrative, rather than definitive, for Neo-Pagans. The interaction of a tri-form goddess of nature and sovereignty who is wed to a duo-form phallic consort/sacred king with light and dark aspects, who perpetually struggle with each other, sow the seeds of their own rebirth, and are ritually sacrificed to or by the goddess in a cyclical pattern in order to renew the powers of life. 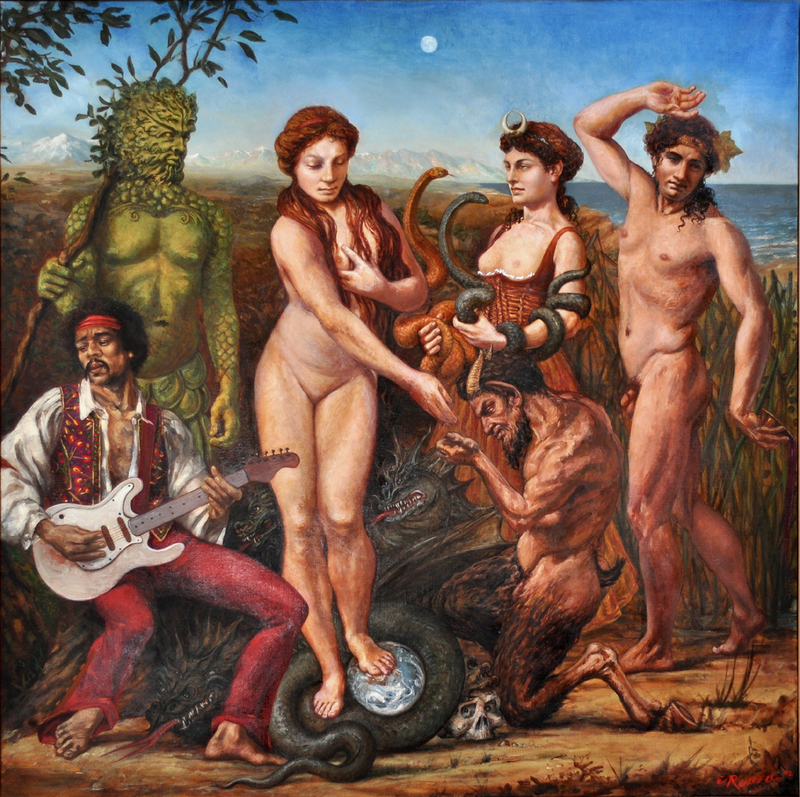 The Mythos is derived primarily from the “Poetic Theme” of Robert Graves‘ The White Goddess, as well as James Frazer’s metamyth of the dying god of The Golden Bough and Joseph Campbell’s monomyth of The Hero with A Thousand Faces. 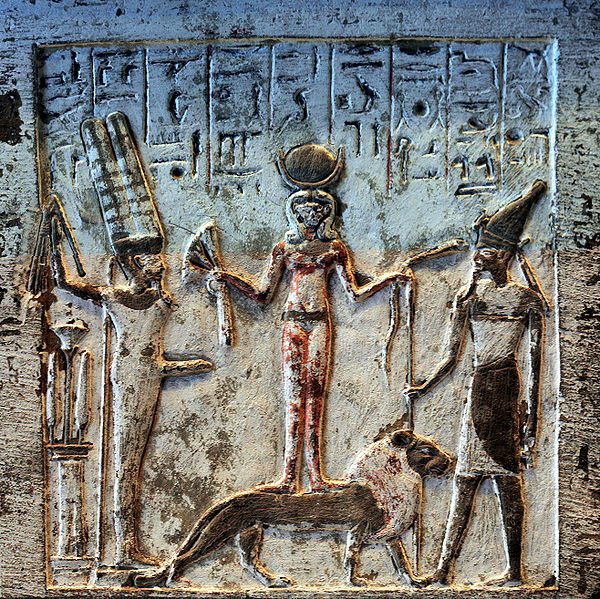 Stele depicting the goddess Qadesh holding a lotus flower to ithyphallic god Min and a snake to desert god Resheph. The wild or bestial phallic/horned god of sexual license liberation. The Neo-Pagan Mythos teaches that everything changes, everything moves in a cycle, and there is balance in the cycle. Great definition of myth. But I steadfastly resist the notion of a canonical Neo-Pagan mythos. I would say these are SOME myths, not THE myths. There are other ways to conceptualize the eight rituals in the Wheel of the Year without recourse to, for example, the Oak King and the Holly King. To state there are 8 points in the wheel of the year, yet only list five points, will confuse many outsiders. Some groups seem to have been writing modern myths to express emotional or religious concepts about things never imagined by the ancients.